What is Into the Book, and why does it matter? 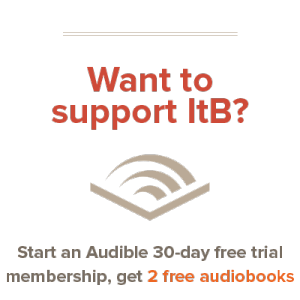 In the words of Jess Verve, one of our contributors, ItB is not, “a panel of clinical college professors, but a community…where people come to deeply consider the heart of stories.” We’re just people, from different walks of life and at different stages. One thing brings us together: we love literature that is steeped in truth — like a steaming, hot cup of Earl Grey. We want to equip you to make good literature, and, if you’re new around here, teach you to love literature. How? Our goal is to make better painters, not better paintings. You, the people, are our goal. While a polished website and professionally published books are one thing, people who love truth are another – and much harder to come by. We want ItB to teach, and lead by example at the same time. We hope to foster the kind of website that will take on a brand-new author who’s trying to get her first book out there – and then edit the book with two first-time editors, who have just gone through some of our courses and need to cut their teeth on actual work. If the first edition isn’t up to par, we’ll release a second edition. But the end goal is not to publish a beautiful book (though hopefully that’ll be a side effect) – the goal is to build up our community. ItB is a place where you can publish the poetry you’ve been practicing for months after being fascinated by John Donne and how he weaves words. It’s the place to work with others on the novel that’s been in your head for years, and watch as it takes shape and is edited, designed, and published. It’s a place to learn how to do the editing, designing, and publishing. It’s a place to read well and share solid, beautiful books that meet our values with the world. …to hold up good literature, and then give you the tools to go and make likewise. We want to give dozens or even hundreds of writers and authors a chance to be heard. If what you have to say is worth hearing, then we want people to hear it. We want to be enablers and creators. If in the end none of these new writers stick with us, that’s fine. If you end up at the New York Times, or editing a best-selling novel, we’d consider it the absolute best way to see our goals achieved. This is ItB: to hold up good literature, and then give you the tools to go out and make likewise. Last, all of this flows out towards you, our readers: to spark in you a love for literature that might not have been there before; to carry you along to strange and mystical lands in the course of twenty lines of poetry; to help any of you who may be aspiring writers yourselves. We’re a bunch of people creating; would you like to come along for the ride?